Our Warrington veterinary team knows how much your pet means to you – especially since they are all pet owners. Their knowledge and experience ensures that at every stage of your pet’s treatment, they are always in good hands. If you wish to see a specific member of the veterinary team, please use the calendar icon to check their availability. Debbie lives with her partner of 8 years, she has 3 children and 8 grandchildren (although 14 grandchildren between them). She loves her family life and in her spare time she enjoys days out, holidays and gatherings with them. She also cooks Sunday dinner for 16 EVERY Sunday! Debbie volunteered for a children’s charity in 2015 as a junior child mentor and took great pleasure in working with a child over a 12-month period, albeit very sad when this came to an end. Debbie was so happy when the position at The Vet came up as it gave her everything she could have asked for. 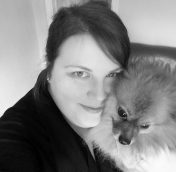 The role of Veterinary Business Manager not only allows her to use her management and customer service experience but also gives her the opportunity to work in such a lovely environment providing what is a crucial service to customers as animals are more than pets, they are that added family member. She has always loved animals and can’t remember a time of not having a pet in the home. She’s grown up with dogs, as a child her first pet dog was named Rex, followed by a German Shepherd Max then her own dogs Rebel and Barney (both mixed-breed dogs), a Jack Russell cross named Charlie (who lives with her son) and took in her parent’s dog Sandy. Debbie also had 2 cats (Molly and Dolly) mother and daughter, and her children always had hamsters. Cath grew up on a sheep hill farm in County Durham and was surrounded by animals from livestock to dogs and ponies. She graduated from Reading University with an Animal Science degree in 1995. After a few years working in the pharmaceutical industry she qualified from Liverpool Vet School in 2004. Cath initially worked as an equine vet then moved into small animals. Her interests are in emergency medicine and soft tissue surgery, and is also qualified to perform acupuncture. 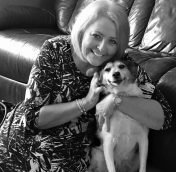 When she is not at work, she enjoys spending time with her partner and two boys and walking their 2 dogs, Carly the collie and Ralfy the lurcher. She also has a horse called Robbie. She also enjoys travelling and adventure holidays and nights out with friends. Bethany grew up in Cheshire and qualified from the Royal Veterinary College in 2007. She started her career practicing in Kent and London before moving to the United States in 2010 where she spent four of her five year stay as clinical director of a busy small animal hospital in suburban Washington, D.C. On returning to the UK, Bethany worked in Manchester for 18 months before joining The Vet in January 2017. 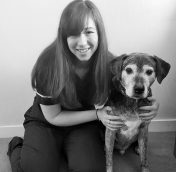 Bethany’s professional interests include acupuncture, exotics, and surgery. Outside of work Bethany’s hobbies include baking, running, and travel. She has two rescued cats (Franklin and Lexi) from her time Stateside and loves nothing more than taking her parent’s dog for a walk in the hills. 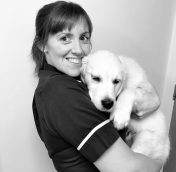 Caroline is a recently Qualified Veterinary Nurse, with a special interest in surgical nursing and caring for inpatients. 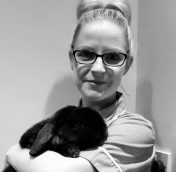 Before going into Veterinary Nursing she received a degree in Zoology from the University of Leeds where she studied animal physiology, behaviour, development and nutrition. Caroline then volunteered at an animal rehabilitation centre in South Africa, which is where she realised that Veterinary Nursing was all she wanted to do. Outside of work she volunteers for the Cinnamon Trust, walking dogs whose owners are no longer able to. She also have two rescue cats, Gandalf and Solo. Hollie is from Liverpool and graduated from the University of Nottingham in 2017. She has always been interested in small animal practice and particularly enjoys medicine cases. In her spare time she enjoys running (very slowly! ), reading, listening to music, socializing with friends and shopping! Hollie currently has one dog, a spoiled Basset Hound called Hector! 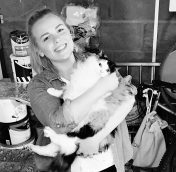 After a childhood surrounded by animals and various Saturday jobs in kennels and farms, Paige decided she wanted to be a Veterinary Nurse as she wanted to work with animals and was interested in the science and anatomy. Paige qualified in 2015 and has since worked as a surgical nurse and her main passion is anaesthesia and major soft tissue surgery. Outside of work she enjoys travelling, dog walking and spending time with the family. She has two dogs, Tia who is a 8 year old rottweiler and Rodney a 2 year old labrador, both rescues. Keelie qualified as a veterinary nurse in 2017. She enjoyed every part of her training both in college and the practical work in a practice. She loves all aspects of her job but especially enjoys inpatient care and nursing consults. Keelie really loves getting to know her clients and their animals. She is a crazy cat lady at heart with 3 of her own – Rosie, Albert and Grandad (her old man)!! Keelie would like to further her knowledge in the future and learn more about feline behaviour and would enjoy running her own senior consults. She has a young daughter who is also a huge animal lover, she’s brilliant and always helps to feed their fish, cats and 2 bunny’s Jet and Blanca. 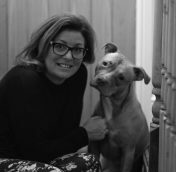 After a childhood surrounded by numerous pets, Jane began a career in veterinary nursing at a small animal practice in 1996. After studying at Myerscough college, she qualified in 2002. Jane has taken several short maternity breaks over the years for the birth of her four children. She enjoys all aspects of being a veterinary nurse, especially nurse clinics, time spent in Theatre and neo natal care. Over the years, she has hand reared many litters of orphaned kittens, puppies, rabbits and even birds! Behaviour is a keen interest and she hopes to pursue her current knowledge further in the near future. After losing both her beloved cats in the last few months, currently her only pets are two goldfish, Paul and Gills! In her spare time, she loves attending live music events, socialising with friends and family days out. Emily has worked as a VCA for 2 & 1/2 years before joining The Vet. 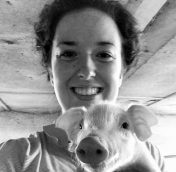 She enjoys caring for animals and the variety and the challenges the job offers. She is also looking forward to starting her Nurse training. Emily has 2 dogs at home, an 11 year old Rottweiler named Lara and a 14 year old cross breed called Bruno. Outside of work she likes to read and bake cakes. After working in a customer focused background for the same company for 29 years it was time for a change. 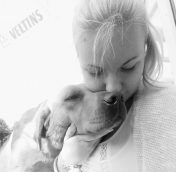 When the opportunity arose for Jane to be working for The Vet, it was like a dream come true, to be able to combine her love and passion for animals with her knowledge of customer care and working with the public. Throughout Jane’s life, she has had many animals including rabbits, guinea pigs, a cat named Tilly, two ponies and many different breeds of dogs. Staffordshire Bull Terriers have turned out to be her absolute favourite, with her first one being Alfie a red staff who was the baby of her family. She then added Ella to the family who is also a red staff and will turn one in March 2017. Recently she enjoyed going back to college where she studied for ITQ level 2, which was good fun being a part time student! But what Jane enjoys most is having long walks with Ella either at the beach, especially on a winters day or in the country. When she has spare time, you’ll find her curled up with her nose in a good book, or making the most of spending time either with family or friends, sharing a nice meal or having a drink and enjoying a well-deserved catch up. 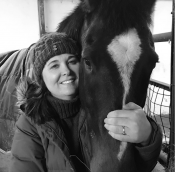 Lauren grew up around many different animals with her dad being a gamekeeper, she always knew she wanted to work around animals and have worked from dog kennels to cattle markets (always taking home the strays). 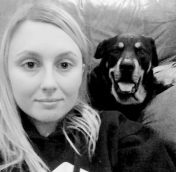 Lauren graduated from reaseheath college studying animal management where she found her passion for dog grooming and went on to become a qualified stylist. Lauren love’s working at the vet as she gets to meet lots of different pets and their wonderful owners. Lauren Says “It’s heart warming seeing peoples pets being nursed back to their happy selfs!”. She currently has 3 Labradors, 1 rescue bearded collie, 2 rabbits and 6 chickens but she will always find room for more! Lana has been a dog groomer for over 10 years and she loves her job and everything about dogs! She has a 4-year-old cheeky Pomeranian called Foxy. She likes to be creative with his grooming, from a green tail to a lion cut, he’s had it all! Lana is city and guilds trained, meaning this enables her to groom to breed standard or to your specification.